Today, it is very common to run across black and white squares in magazines or billboards that are meant to be scanned. So what is a QR Code? QR Codes (short for Quick Response Code) are a type of two-dimensional barcode that can be scanned by using a Smartphone with a QR Code reader application. QR Codes are frequently used by advertisers and marketers in ads, on billboards, on products and in many other locations with the goal of providing a link between the physical and digital world. When you scan a QR Code, you are most likely going to be directed to a website, a text message, a video, or to one of the many other features that a QR Code has to offer. QR Codes are huge in Japan and the Orient and are now becoming the mainstream print-to-mobile mechanism in the US and Europe as well. QR Codes enrich printed, physical content by quickly and easily linking it to the mobile world, which is full of endless possibilities. 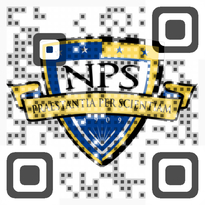 If you haven’t tried it yet, click here to get your own QR Code in less than a minute. Creating a QR Code is very simple. Search online for a QR Code generator, enter the data or destination that you want your QR Code to lead to, click on "generate the code" and start using it anywhere you want. With Visualead's Visual QR Code Generator, you can easily generate a QR Code that is also embedded within a design or image, greatly increasing its visual appeal. What is QR Code design? QR Code design is about turning any design, or any part of a design, into a QR Code. QR Codes are the most effective way to lead people from offline to online, but their unappealing and technical appearance makes it hard for people to relate to them and want to scan them. 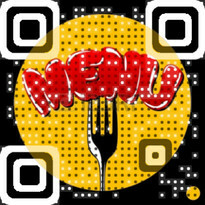 QR Code design is about creating QR Codes that communicate with the human customer and not merely with machines. It’s a revolutionary change in our perception of QR Codes - no more looking at QR Codes as boring, functional links but as vibrant, eye-catching calls-to-action that are there to tempt customers into making the leap from the physical print into the world of mobile content. Users don't want to scan a code, they want to interact, engage, and be engaged with. Whether the goal is to explore great digital content, to receive a valuable coupon or discount or even to engage in a social conversation, merging designs with QR Codes enables us to combine the creativity, allure and visual message of a design with the call-to-action functionality of a QR Code and create unique, communicative and effective links between the physical and mobile worlds. 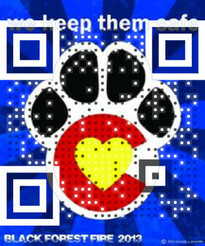 QR Code design enables users to engage with your creation and design - and not with a cluster of black and white dots. What can I do with QR Code design? QR Code design is all about turning any design, or any part of a design, into a QR Code and enabling users to engage with the design itself, rather than with a black-and-white code. Using Visualead’s technology, there are endless options for increasing your users' engagement with your design. The most important thing is to always think outside the square and be creative! You can turn any part of your design into a QR Code, making the QR Code a part of your visual message, instead of the other way around. You can create QR Code designs that hint to the users as to what they will get from scanning the code, or at what is "behind" the code, such as a Twitter account, Facebook page, map, location, phone number, SMS, business card and ect. 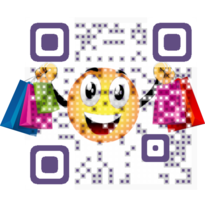 QR Code designs enable you to indicate to the user what to expect to get from scanning the code. You can design calls-to-action images and place the QR Code on them, thus creating unique and effective visual calls-to-actions. For instance, placing a QR Code on a coupon image, a discount image, or on a 1+1 image will serve as an attractive and effective call-to-action that the users would want to scan. 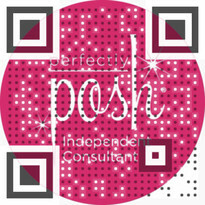 Another option is turning your logo or brand graphics into a QR Code. This will affiliate the QR Code with your brand and logo and increase your customer's confidence in the code and consequentially, their desire to scan it. You don’t need to hide the black-and-white QR Codes in the corner of your design anymore; with the use of Visualead’s technology, you can put them in the middle of your design, at any size you want, as long as they enhance your design and provide you with a call-to-action that is more effective than any black-and-white square that is hidden ignominiously at the corner of your ad. Check out various QR Code designs made by other Visualead users in order to get ideas and inspiration when designing your QR Codes. Can I get some tips for using QR Codes in designs? Visualead offers you the ability to turn any design or image into a QR Code so that you can design creative, communicative and visually appealing QR Codes for optimized customer engagement. You can check out great examples of QR Code designs that other Visualead users have created in our homepage, as well as examples of the use of Visual QR Codes in logos, ads and other designs. Can I make custom QR Codes as well? Yes! Using the Visualead generator, you can easily create custom QR Codes using any design, image or company logo, in under 60 seconds. Just upload the design of your choice into our custom QR Code generator and transform it instantly into a custom QR Code. How can I make branded QR Codes? In order to design a custom branded QR Code, simply upload your logo or brand design into our generator and turn it into a Visual QR Code. You can browse through our gallery in order to see various examples of logo and branded QR Codes that were made by other Visualead users. How can I make logo QR Codes? 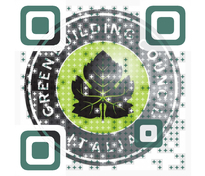 The Visualead Generator allows you to integrate a QR Code anywhere into your company's logo. Simply upload your logo and choose your QR Code’s desired location and press generate. You can see some great examples of logo QR Codes that were designed using Visualead’s Generator on our Explore page. How can I make graphic QR Codes? 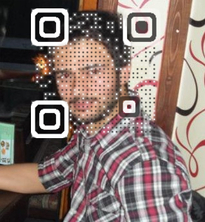 Any image can be turned into a custom QR Code with the use of Visualead’s design QR Code Generator. Just upload an image, position the QR Code within the image and hit generate. 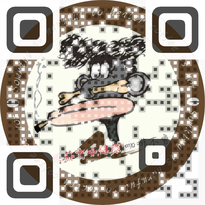 Creating QR Code designs and Custom QR Codes is quick and easy. All you have to do is upload any image or design into the Visualead Visual QR Code generator, choose where you would like to position the QR Code within your design and hit generate. 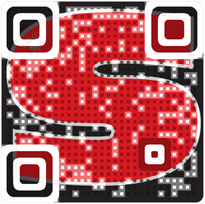 The location on your design where you placed your QR Code will be automatically merged with a fully functional QR Code. With Visualead's Visual QR Code Generator, you can design QR Codes and create custom QR Codes in only 60 seconds. We have compiled a Gallery filled with images and designs for you to use for inspiration when designing your Visual QR Code. 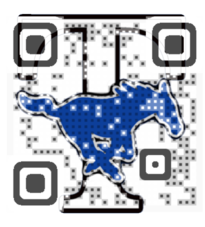 You can choose any image from our Gallery and use it to create your custom QR Code. Within our gallery we have social network icons such as Twitter and Facebook as well as icons that are affiliated with sales and coupons and many other images for you to use. Browse through our Gallery and choose any image that will best fit the purpose of your custom QR Code. What is the resolution and size of the images in the Gallery? All the images within the gallery are identical in size and resolution: 300dpi, 5cmx5cm. After you have finished creating your QR Code design with the use of an image from the Gallery, you can download it from your dashboard at other resolutions, file formats and dimensions. What image types do you support? We support the following image formats: • JPG • PNG • TIF • BMP • GIF If there is a format you would like us to add, feel free to Contact Us. What image resolutions do you support? We support the following image resolutions for designing with QR Codes. • 72 dpi • 96 dpi • 300 dpi • 600 dpi If there are other resolutions you would like us to support, feel free to Contact Us. Why do I get an “image too small” error message? In order to ensure the finest quality and scannability of our QR Code designs, we limit the print size of the QR Code designs to 2.5cmx2.5cm at minimum. This means that your uploaded image’s dimensions must support a QR Code of at least 2.5cmx2.5cm print size and not any smaller than that or its scannability might be affected. What QR Code actions do you support? Visualead offers a wide range of destinations and actions for your custom designed QR Code including: • Open a URL page • Rich Text • Direct to a Youtube video • Google maps location • Request Twitter followers • Send a Tweet • Direct to a Facebook page • Open a LinkedIn profile page • LinkedIn share • Open a iTunes link • Send a text message • Send Contact information • Send Skype username • Send Email address • Open Application Url , and even more... 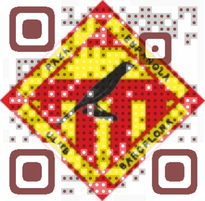 If theres another type of QR Code destination you would like us to add, Contact Us here. How do I place a QR Code onto my design? Our generator walks you through every stage of the designing process. The first thing it will ask you to do is to upload an image or design into the Visualead custom design QR code generator. When you reach the Place page, you will find a transparent QR Code thumbnail hovering over your design. You will be able to drag, resize and rotate the QR Code thumbnail in order to place it anywhere you want within your design. When you are satisfied with the location of the QR Code within your design, press "generate" in order to merge the QR Code into the design. If you are happy with your QR design result, press "next" in order to activate the QR Code. If not, you can press "try again" and reposition the code again. Why can't I resize the QR Code below a certain size? In order to ensure the finest quality and scannability of our Visual QR Codes, the minimum print size of the QR Codes is 2.5cmx2.5cm. 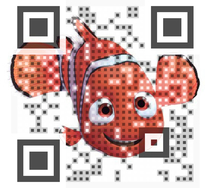 We therefore limit the resizing of the QR Code to be at the least slightly above 2.5cmx2.5cm in print size. What more can I do in the "Place" stage? You can zoom in and out in order to resize the QR Code thumbnail, even beyond your original design’s dimensions, if you so desire. 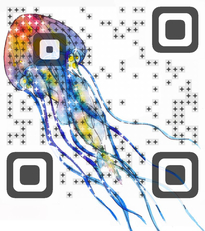 You will then be able to select a background color for the canvas so that the combined result of QR Code design and background color will blend in with your final design in the most attractive way. I want to change something, how do I go back? Our "Breadcrumb" navigation menu allows you to return to any stage of the design process in order to change or edit your QR Code design or pick a different image. This is possible as long as you haven't finished generating your final custom design QR Code and reached your personal Visualead dashboard. If you purchased a Silver or a Gold Visual QR Code you can dynamically change its content (functionality and destination). To do that just go to your dashboard and press "Edit QR" under the QR Code design that you want to edit. This will take you back to the Edit QR step in the Visual QR Code Generator flow. Don't foget to press save. Why do I need to activate my code? When you press "Publish" in order to publish your custom QR Code design, we know that you have finished creating and editing your Visual QR code and that it’s ready to go on your dashboard. Our Generator will then create your QR Code design project and save it for you on your dashboard. You will then be able to go to your dashboard to view, edit, and observe analytics about your newly created custom QR Code design. Why do I need to log into the site in order to download my QR Code? 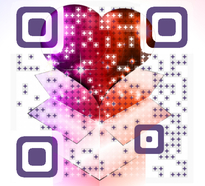 Creating your QR Code design is only the beginning of what you can do with Visualead. After you are registered in our site, we can display all of your QR Code creations in your personal dashboard where you can choose how you wish to continue: you can share them in all of your social networks, continue to edit them at anytime and/or view interesting analytics about how many, where and when people have scanned your code. What is my personal dashboard? The Dashboard is a personal page where you can view, manage and receive important information about the custom QR Codes you have designed. After logging into our site, you will be able to access your dashboard where you will find all the QR Codes you have created with Visualead. What can I do in my personal dashboard? Your dashboard is your personal control room. You can view, edit, share and receive important analytics about any of the QR Codes you have created using the Visualead custom QR Code Generator. Using the dashboard, you can download your Visual QR Code so that you can use it anywhere and anytime you want. If you choose to edit one of your QR Code’s designs, you will be taken you back to the Visual QR Code generator where you will be able to change the destination of your QR Code. Pressing Analytics will display an array of options for receiving analytics data about where, when and how many times your code was scanned. 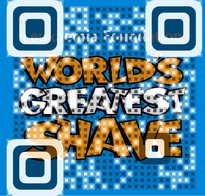 You can also choose to view your Custom QR Code design and share it through all your social networks. What is the QR Code information pop-up? The QR Code information window allows you to insert more information into the QR Code design such as a title, tag words and/or a description. This will make it easier for you to manage and keep track of your QR Codes. In addition, adding information about your QR Code will make it easier for other Visualead users to find, comment and share the QR Code designs that you have created. If you so desire, you can also choose to allow your custom QR Code designs to be displayed on Visualead's homepage QR Code designs feed. Displaying your QR Code creation on Visualead's homepage will allow other users to view, comment and share your QR Code designs with others as well as help them to be inspired by great examples of QR Code designs. What does “share my code on Visualead's homepage” mean? If you so desire, you can choose to allow your custom QR Code designs to be displayed on Visualead's homepage QR Code designs feed. Displaying your QR Code creation on Visualead's homepage will allow other users to view, comment and share your QR Code designs with others as well as help them to be inspired by great examples of QR Code designs. In order to choose to display your Visual QR Code on Visualead's homepage, go to your Dashboard, press "Info" on any QR Code and check or uncheck the "share my code on Visualead's homepage" checkbox. Can I share my QR Code design? Of course! Pressing on any QR Code image that appears in your Dashboard or Visualead's homepage or Explore page will open the QR Code design for viewing. 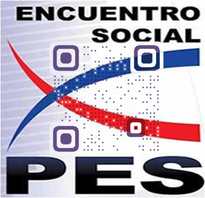 You will then be able to share the QR Code in all of your social networks. 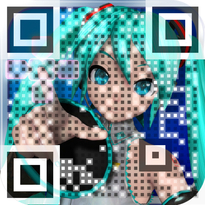 You will also be able to comment about the QR Code design to other Visualead users. Can I see how many people have scanned my code? Yes. In your Dashboard, press "Analytics" on any given QR Code design. This will open the analytics pop-up window that displays various analytics information about your QR Code design. The analytics information that appears will include how many, where and when people have scanned your code and more. 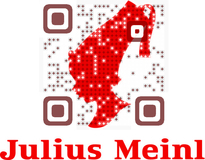 What other analytics can I receive about my QR Codes? Opening the analytics pop-up for a certain QR Code will display four main analytics about your QR Code design: 1) The total number of scans that your QR Code has received. 2) The distribution of the number of scans per day. 3) The location on a geographical map (city level) where your QR Code was scanned. 4) Which mobile devices were used to scan your QR Code. How can I edit a QR Code after I have created it? After creating a custom QR Code and saving it on your personal dashboard, you continue to have the ability to edit any of the details of your code indefinitely. When you place the cursor over a certain design, a drop-down menu will open and if you press Edit, you will be launched right back into the system so that you can edit your QR Code. You may want to use the same QR Code design but with a different destination. All designs that have been saved in your personal dashboard can be edited by simply pressing the edit button. It’s important to remember that the editing option allows you to continuously change your QR Code’s destination even after you printed it, so that you don’t need to print a new QR Code every time that you decide to adjust its destination. Why can't I select a new design when I want to edit my QR Code? 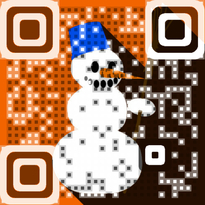 Each Visual QR Code is made up of a base image, onto which a QR Code position and a QR Code destination are integrated. While you can always edit the QR Code’s destination in any QR Code design project, if you want to use a new image with the same QR Code, you will need to create a new QR Code design. The upside to this is that this is really easy and simple to do by using Visualead's Visual QR Code generator and shouldn’t take you more than a minute. Can I change the QR Code destination after I downloaded and printed it? Yes, you can edit your QR Code’s destination at any time, even after you have downloaded and printed your QR Code design. Simply go to your Dashboard and click "Edit" on the relevant QR Code design. How do I download my QR Code? In the Dashboard you have the option to download each custom QR Code design that you have made. Click the download button in order to open the download pop-up. When the pop-up opens, you can choose to define the image format and dimensions of the code that you want to download and your QR Code will be downloaded. 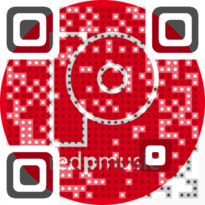 What image types do you support for downloading my QR Code? We support the following image formats: • JPG • PNG • TIF • BMP • GIF If theres a format you would like us to add, feel free to Contact Us. Can I download my code in different sizes and resolutions? Yes, after pressing the download button, you will be able to select the image resolution, dimensions and type of the QR code design that you want to download. Why when I change the width or height of my QR Code in the download window, the other parameter automatically changes as well? The ratio between the height and width of your image must remain constant in order to avoid damaging the image’s quality. Therefore if you want to download your design at 80% width of the original image’s width, the image height will automatically be adjusted to 80% of the original image’s height as well. My QR Code wont scan, what can I do? First, make sure that you didn't make any graphic changes to your QR Code after you downloaded it and used it in your design. Resizing, changing the code’s colors or any other design changes to the code may damage it and make it less scannable. 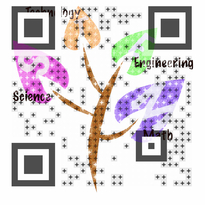 The best thing to do is to finalize your complete design and only then place your QR Code design on to it. Second, make sure that your code’s size is 2.5x2.5cm and up, or 3x3cm and up if used in a newspaper, because below this size the QR Code will not be scannable. If this is not the case, try scanning the QR Code in better lighting (or turn on the light if your device has one); Make sure the code is not printed on a surface that is overly reflective; Make sure the code isn't partially covered, smeared, faded, or damaged; Make sure the camera is able to focus clearly on the code. Note that your device may not have a camera that can auto-focus (if your device camera does not have auto-focus or if the code is printed too small, you may be unable to scan certain codes because the scanning application relies on image clarity in order to function properly). 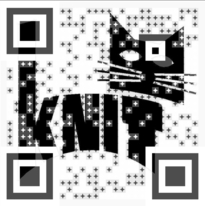 Do you have an API for making Visual QR Codes? We are now working on developing a simple API service that will enable integration of QR Code design technology into services. With the help of our API, you will be able to generate a large number of Visual QR Codes at once, as well as enable your users to create custom and designed QR Codes. Please Contact Us for further questions about our API. How can I start using your API? 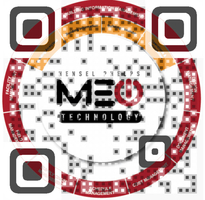 We are looking to partner up with any service and/or business that is interested in integrating QR Code design technology into its services. To start using our API, please contact us here. I have more questions, how can I contact you? We are happy to help in any way that we can, whether it’s a support issue, feedback, an idea that you have for us or if you are simply interested in learning more about Visualead and our different products. Please Contact Us about anything that you have in mind regarding our service. What is an All-in-One QR Code? The All-in-One QR Code is a QR Code that, as opposed to regular QR Codes, offers two or more destination options when scanned. When creating the QR Code, simply choose the destinations of your choice from among the destination possibilities and when the QR Code is scanned, it will present the scanner with those destinations to choose from. For example: a QR Code that when scanned, offers to direct you to a store’s location or to the store’s website. The All-in-One is especially useful for businesses as it greatly enhance the QR Code’s ability to link consumers with all the options that businesses and companies would like to offer them. For more on the All-in-One QR Code, press here. Can I make a Visual All-in-One QR Code? Of course! The process for making a Visual All-in-One QR Code is exactly the same as creating a Visual QR Code. All you have to do is go to the Create page, choose the All-in-One tab and select two or more destinations that you would like for your code. The next step will be to upload an image of your choice or to choose one from our Gallery and then placing the QR Code in the desired location within the image. 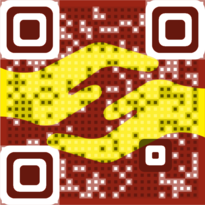 To create a Visual All-in-One QR Code – click here. What destinations can I use for an All-in-One QR Code? When creating your All-in-One QR Code, simply choose the two or more destinations from the following: Facebook Profile (directs to a Facebook profile page), Twitter Follow (subscribes scanners to your Tweets), Google Plus (directs to a Google Plus profile page), LinkedIn (directs to a LinkedIn profile page), Google Maps Waypoint (opens a location in Google Maps), SMS (send an SMS to a specified phone number), Compose Email (opens a “compose email” box addressed to a specific email address) and Phone Number (calls the phone number that you have specified). Can I get a Gold or Silver All-in-One QR Code? Of course! Using a Gold or Silver All-in-One QR Code is the best way to utilize your QR Code to its maximum possible effect – offering several different destination possibilities to your consumers in one elegant, attractive QR Code. The Silver option will preserve 50%-54% of your image while the Gold option preserves 70%-72% of your image and both of these options have dispensed with the advertisement ridden loading page that comes with the free option. In order to get a Gold or Silver All-in-One QR Code simply choose one of these options at the Pricing page when you have reached the end of the Visual QR Code generation process. What are Gold and Silver QR Codes and why should I get them? When creating a regular Free Visual QR Code, the QR Code is merged with an image in a manner that is appealing to the eye and compatible with your design, yet the QR Code’s original appearance will still take up at least 50% of the image. Another feature of the Free Visual QR Code is a loading page with advertisements and Visualead’s logo that appears when the QR Code is being scanned. You can choose to upgrade your Visual QR Code to a Gold or Silver QR Code. The Silver Visual QR Code preserves up to 54% of the image of your choice and dispenses with the loading page, for the price of 1 Credit. The Gold Visual QR Code belongs to the 2nd generation of Visual QR Code technology, an innovative and cutting-edge technique that preserves up to 72% of your image, greatly increasing the visual appeal of your QR Code and its overall imaging quality, without compromising on QR Code scannability. The Gold option also doesn’t include the loading page and can be purchased for the price of 4 Credits. If your design’s quality is essential, the Silver and Gold options are the best ones for you. 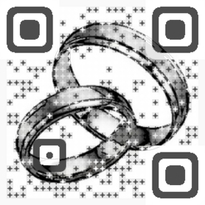 Want to see how your Visual QR Code would look like if it was Gold or Silver? In the Pricing page of the generation process, simply choose these options and you can see how your Visual QR Code can look at its very best. What are Credits and how do I get them? Visual QR Code Credits are used in order to purchase Gold or Silver Visual QR Codes at Visualead. 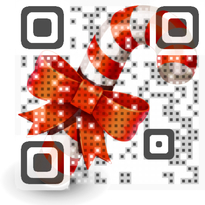 A Silver Visual QR Code can be purchased for 1 Credit and a Gold Visual QR Code for 4 Credits. Each Credit costs 14$ and are paid for with a one-time payment using Visa, Mastercard, American Express, all credit cards and Paypal. There is no expiration date on Credits so your Visual Credits will remain in your account until you choose to use them. You can purchase a number of Credits at once at a discounted price (the greater the number of Credits, the greater the discount) so if you’re planning on purchasing one or more Gold or Silver Visual QR Codes, getting a bunch of Credits for a serious discount is the best course for you. 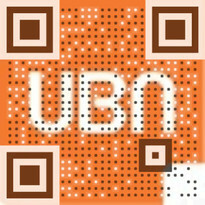 If you are unsatisfied with your Visual QR Code bundle, you are eligible for a 30 days money-back guarantee. There are no cancellation fees. 당신의 쇼셜 계정을 가지고 아래 로그인을 클릭하십시오. * 가입하면, 당신은 동의 우리이용 약관 과 개인 정보 보호 정책.